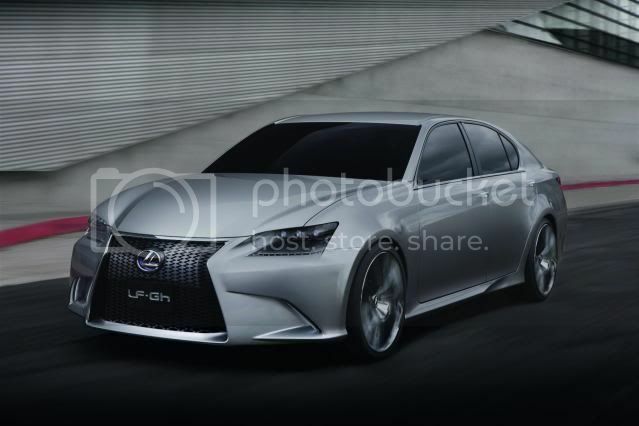 Lexus will preview the forthcoming GS mid-sized executive sedan via a new hybrid concept car that will premier at NYIAS. The concept in question is called LF-Gh (Lexus Future Grand touring Hybrid), shows the latest route for its L-Finesse design philosophy. 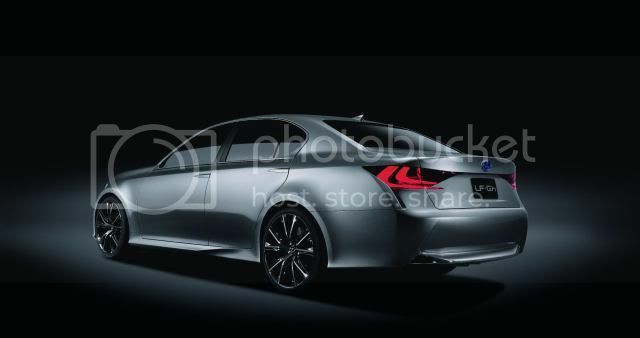 The fourth-generation GS – expected in Autumn – will gain much of its styling from the LF-Gh concept. 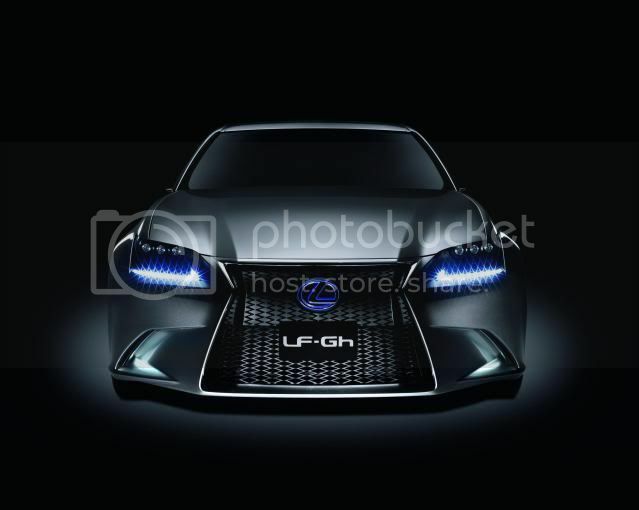 The LF-Gh sports a very aggressive fascia with deep air intakes, that mimics the LF-A supercar. The show car also sits on 20” alloy wheels. Although the LF-Gh looks substantially long, it measures a mere 4,890mm long, 1,870mm wide, and 1,450mm high. 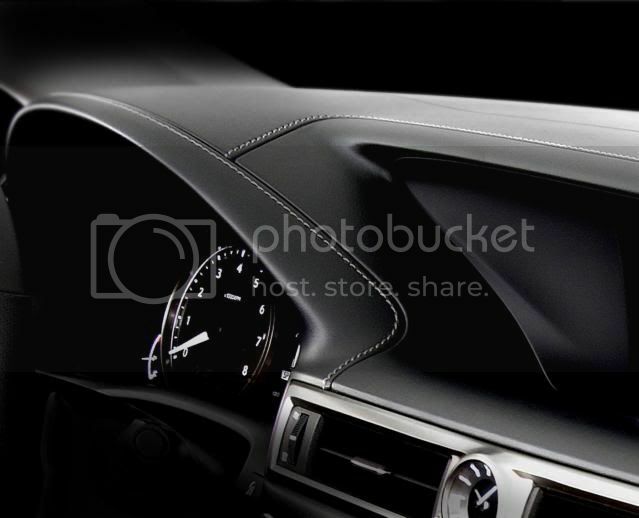 That means it's 40mm longer, 50mm wider and 20mm taller than the current GS which allows for superior cabin space. While chassis details remain scares, we know power goes to the rear wheels via a petrol-electric hybrid system. 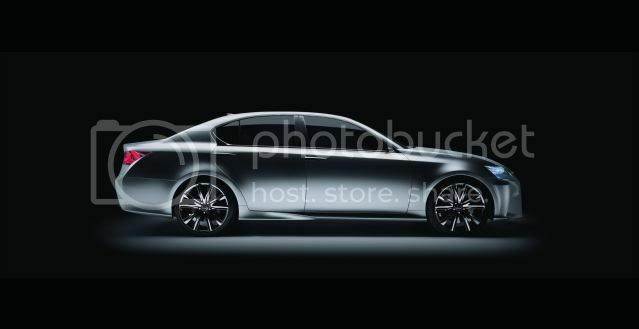 The Lexus LF-Gh will make its global debut at the 2011 New York International Auto Show. The concept has been conceived as a redefinition of the luxury grand tourer, with a “clean sheet of paper” approach to design. The aim was to produce a perfect blend of style, performance, efficiency and environmental compatibility, while introducing the benefits of advanced, new technologies. The design process has brought about a refinement and evolution of Lexus’s L-finesses design philosophy – established since 2001 – with a bolder and more distinctive projection of what a premium segment model could become. As a result, original ideas included in the new concept may migrate to future Lexus production models. 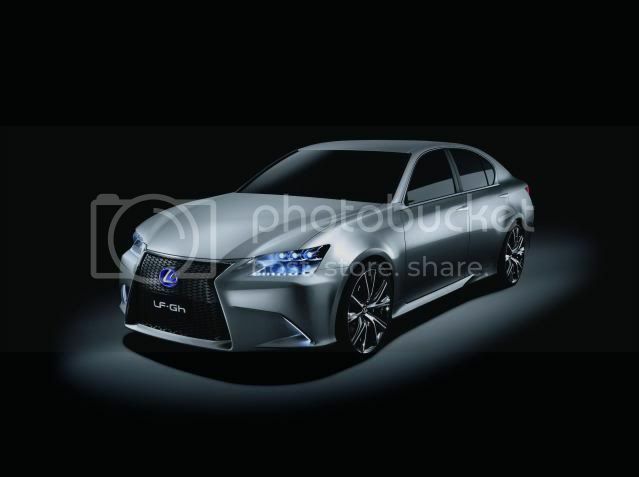 The LF-Gh sees Lexus take the idea of the grand tourer saloon a step further. It has been designed as a high-performance concept that can deliver an inspiring driving experience, carrying passengers in comfort over long distances. It combines presence and emotional appeal with functionality, offering enhanced creature comforts and load space big enough to carry luggage for an extended trip. The car’s bold, wide stance reflects its strong dynamic performance. Built on an agile, rear-wheel drive platform, it offers generous interior space for four occupants within a distinctive, long greenhouse design. The LED lighting is a clue to the range and scope of new materials, electronics and dynamic systems incorporated in the LF-Gh. The front end design incorporates a spindle-shaped grille that projects a resolute look, while also contributing to efficient aerodynamics and radiator and brake duct operation. 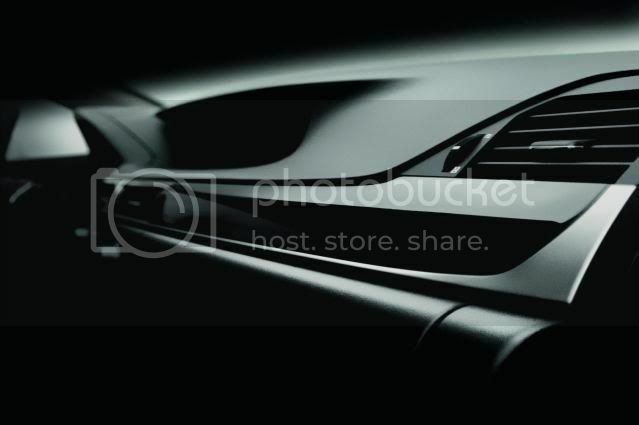 It is a key feature that will be inherited by future Lexus models. Every line of the body is about both form and function: for example, air flows in through the front inlets next to the vertically arranged LED fog lamps, and exits through similar slim outlets at the rear that follow the curve of the tail lamps. The concept also explores how traditional features such as door mirrors and handles can be minimised to enhance overall sleekness and improve aerodynamics. The very deep front bumper adds to the sense of movement and a low centre of gravity, while the raised bonnet line implies strong performance potential. The twin-spoke 20-inch wheels further add to the sense of driving appeal. The concept’s increased width gave the designers an expansive canvas on which to create distinctive wraparound LED tail lamps, with intricate reflectors set behind all-red lenses. Judicious use of slim chrome trim elements in the bumper, exhaust and diffuser adds subtle quality touches. The LED headlamps and independent L-shaped LED daytime running lights ensure the LF-Gh has a “face” like no other car on the road. The LF-Gh is equipped with a future Lexus interior, in which every detail has been newly scrutinised to create an environment that is driver-orientated. The driver’s zone has a high-visibility instrument panel and a centre console that is intuitive to use. A new analogue clock with a three-dimensional face serves as a focal point for the cabin and represents another shift in Lexus’s design philosophy. The space is finished in high-quality materials with finely honed detailing, designed to respond to the demands of customers who know and appreciate true quality. 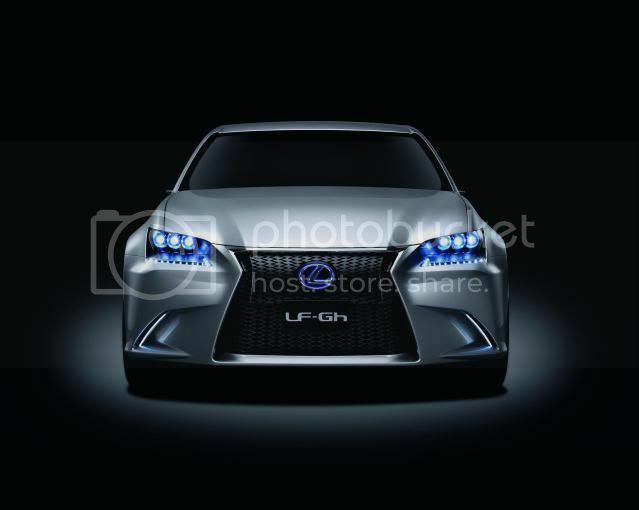 The LF-Gh’s hybrid powertrain is denoted by its Blue LED Lexus Hybrid Drive badges in the front grille and on the bootlid. The way in which the sculpted tailpipes blend with the rear valance minimise the visual impact of the exhaust system, suggesting that the flow of exhaust gases will be substantially reduced. Overall, the concept’s design supports engineering that changes current notions of power, efficiency, safety and environmental consideration in a luxury car.